Hi all! Anyone who's a mum would most likely have experienced "baby eczema" where there's random dry spots on your baby's skin. Why? Because they've got extra soft and sensitive skin easily prone to damage than us adults. This happens most commonly in babies that just started crawling. 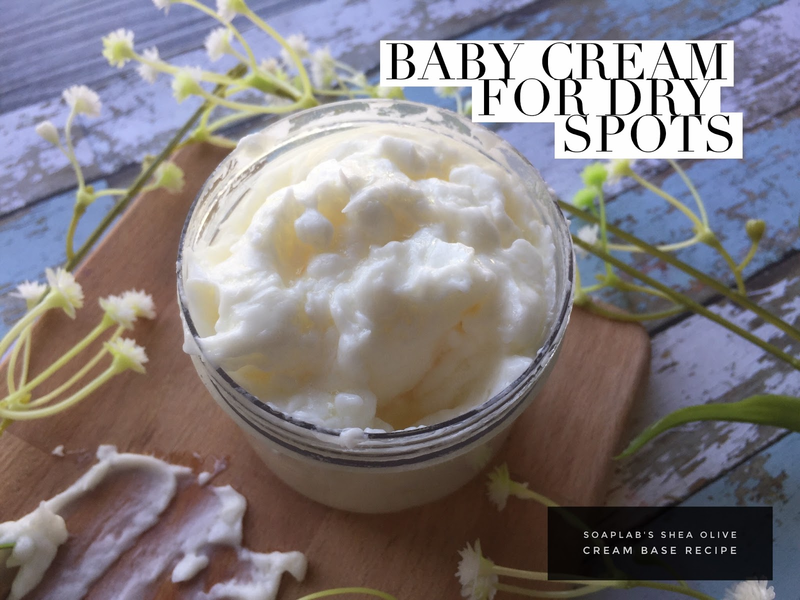 Don't worry it's not a problem that SoapLab can't solve ;) For this, we needed a cream that not only moisturises, but also protects soft baby skin. For this, we begin with SoapLab's signature cream base. We add shea butter as it provides a moisture barrier as well as getting absorbed into the skin easily. To protect your babies skin from the environment and to strengthen it, we use some vitamin E.
Next we chose almond oil, a super mild oil with a lot of fatty acids to help combat the dry patches. We tried it on our babies and also our own rough elbow patches, and it works like magic! Since we made a big batch, we asked our family and friends to try it, and they wanted to buy from us hahah! of course we said sorry, you guys have to make it yourself... So, all of you SoapLab fans, just create a strong brand and build a customer base that trusts you. Once they know you are offering honest products that can solve their problems, they will definitely buy from you.